What is your compliance strategy and are you on track with it? Who created your SPD and do you know if it’s compliant? Do you know what your potential exposure is on this regulation? Is your benefit plan subject to PCORI fees? If so, did you file that return in a timely manner? What are your potential exposures in the case of a DOL audit? 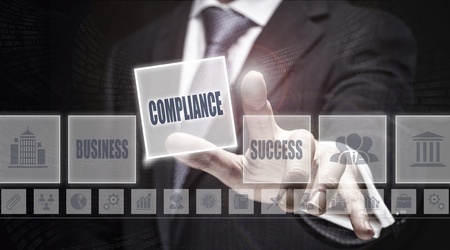 New compliance requirements are adding a huge strain on employers and their HR departments. Protocols are changing rapidly; most broker firms are working hard to just keep up. But what you really need is a partner that can lead you through these challenging times and help you mitigates risks. With that “old friend” or “good old buddy” broker relationship, it prevents business owners from looking at the consequences of not employing a firm that can bring real services, which truly alleviate HR burdens and mitigate unnecessary risks or exposure to the employer. Most private-sector employers are ERISA plan administrators for the health and welfare plans they sponsor. This means they have bottom line responsibility for complying with the federal laws that regulate their plans. While TPAs and Insurers may assist with federal compliance tasks, the employer retains the liability if they are not done and done correctly. Are you current on all these requirements? Failing to provide COBRA Notices carries a fine of $110 per day ERISA penalty. In addition the IRS can levy a $100 per day fine for each day of noncompliance. Failing to provide the correct plan documents within the right timeframe carries a penalty of $110 per day. Failing to provide Medicare notices timely can cause penalties to the employee as well as the employer. Health care reform has added new coverage mandates, notice requirements, disclosure requirements and plan status requirements to an employer’s already overwhelming list of compliance responsibilities. In addition, the complexities of this legislation may actually increase as insurance exchanges, pay or play rules and assistance programs come into effect. As the ERISA plan administrator, the employer is legally responsible for preparing and distributing much of the documentation that defines its health plan. This is one of the most important areas of compliance, because if there is ever a benefit dispute, the documentation rules. Any employer that hasn’t been keeping up with this can get some very unpleasant surprises. Reporting and disclosure is all about transparency for the plan and the participant. Benefits are an extremely important and expensive component of an employee’s compensation and they expect them to be administered fairly and aboveboard. Fines for reporting and disclosure failures can be costly. For example, the fine for not filing a Form 5500 is $1,100 per day. What’s more, some researchers estimate that only about half of the required 5500s are being filed. Advisers should never let this be a vulnerable spot in their service to their clients. Be sure to help them establish a process for filing and distributing all required forms and notices.